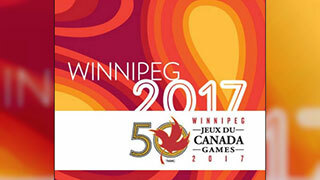 The Canada Summer Games kick-off Saturday in Winnipeg. The nation’s largest multi-sport event for young athletes happens every two years, alternating between winter and summer games. This time around, American Express Global Business Travel is the travel provider for the Games, and it’s a major effort, as Winnipeg prepares to welcome over 5,000 athletes, coaches and officials and more than 20,000 visitors. American Express GBT says its staff have been working around the clock for over 12 months to ensure everyone – and their equipment – is present and accounted for when the Games begin. According to American Express GBT, while they may wear work-out gear instead of business attire, athletes and their support staff are business travellers too. “With deep experience managing travel for Canada’s business travellers, GBT is well suited to tackle the complex challenge of arranging transportation for Canada’s brightest to the most important business meeting of their lives,” the company says.